ZTE crazy sale yesterday, Oct.28, at SM North EDSA ends up in disaster after many shoppers goes frustrated after brand branch had announced that they only offer 100 units of Grand X2 L on every kiosks. Quezon City Police Department (QCPD) staffs were called to help dealt with this angry shoppers on the above mentioned mall after the said kiosk abruptly finished it's "super sale" hours on an early unscheduled end. 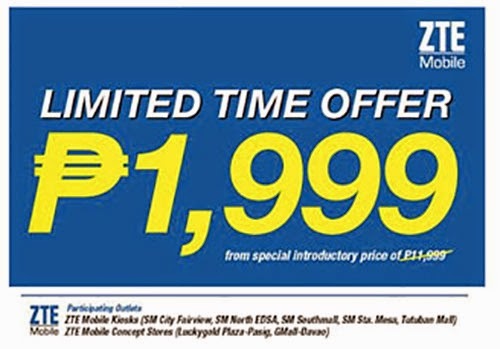 Bargain hunters flocked at ZTE kiosk in SM City North EDSA after hearing the "limited time offer" of the said smartphone brand looking forward to get as many Grand X2 L smartphone which has a retail price of P11,999, and was being offered at P1,999 as part of the bargain deal on that day. 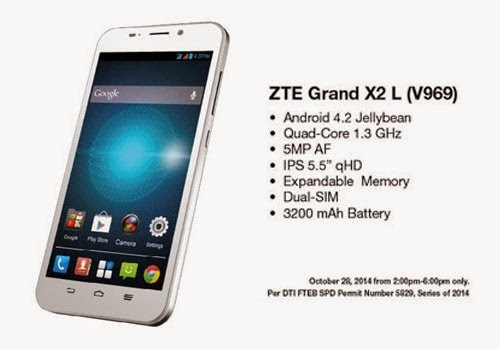 "You can now grab a the ZTE Grand X2 for only P1,999. It will only be available at ZTE kiosk from 2 to 6 pm on October 28. Regular price is at P11,999 so this is a really great deal!" No problem should have been brought up if the company also detailed that there will be only limited units to offer on every ZTE outlets. Participating outlets are: SM City Fairview, SM North EDSA, SM Southmall, SM Sta. Mesa, Tutuban Mall, Luckygold Plaza-Pasig, and GMall-Davao. Comments or suggestions about "ZTE Smartphone "Super Sale" Ends with Chaos" is important to us, you may share it by using the comment box below.